After all, everyone knows an English degree will never help you get a job. While traditional paths like teaching or writing are fairly achievable options (hint: I’ve done both of them), you might be surprised to learn how broadly applicable your English major really is. Here’s the thing: As an English or creative writing major, your area of expertise is language. And every single thing we do as human beings is mediated by language. That means there are lots of job opportunities. Just look around: You can make money “anywhere there are words,” as our own staff writer Dana Sitar puts it. Here are some specific ways English and other humanities majors have successfully made a go of it. Everyone knows all the hottest jobs are in Silicon Valley — and yes, that goes for English majors, too. Who, after all, do you think gave Siri her snark… or put this gem into Cortana’s repertoire? Sure, coding’s cool and all. So who’s really changing the world? The Smith College theater major immediately remembered her semester-long playwriting class. Not only does she earn a good living, but she also gets the satisfaction of knowing that the applause at the end of a great leader’s speech is actually directed at her brilliance. Bailey Poland’s degree in creative writing was critical in helping her land a job as a marketing analyst. Yes, you read that right. Part of her application process included “taking a client case study and rewriting it in a way that actually fit the needs of the business,” she wrote in an email. Needless to say, she was successful, thanks in large part to her training. Plus, those creative writing chops continue to serve her well in her position today. “While many of my coworkers have marketing or business backgrounds, very few of them have experience with telling stories,” Poland noted. Think you have to be great at chemistry (or filing) to land a job in a doctor’s office? ScribeAmerica likens the role to that of “personal assistant to the physician,” and you’d also be helping the patient receive the best quality care possible. And since most people outside of the medical field don’t know the job exists, your superior writing skills will probably go a long way toward your landing the gig! As you may have noticed, digital content is everywhere. And as brands and companies create more and more content, they need more and more people to market it — that is, to get it in front of as many eyeballs as possible. Yep, I’m talking about SEO, which is quickly outstripping teaching on the list of jobs my English department friends from college have now. But if you think a job in SEO has to be boring — or divest you of your creativity — think again. What’s more? The positions are usually pretty darn well-paid — and the numbers are only going up. Having majored in English with a focus in creative writing, Chelsea Terris has done freelance work for blogs and newspapers. But now, she works as the senior content strategist for Webfor, an SEO company based in Vancouver, Washington. She loves her work environment — “I work alongside brilliant, creative, hilarious people,” she says — and its flexibility and positivity give her the freedom and energy to pursue her personal creative projects during off-hours. Two of her plays have been produced off-Broadway. The job also necessitates creativity in and of itself. Dagny McKinley is an author and photographer, but he puts food on the table doing freelance writing with a focus on SEO. He’s still found the time after work to write and produce a play. If SEO isn’t quite your bag, but you’re still interested in figuring out what makes people tick (and how to make them pay attention), you could go into advertising. You’ll apply your writing chops in the real world, working to change minds, behaviors and attitudes. And although it may not be as glamorous as it looks on “Mad Men,” you’ll still be working in a creative industry and using your writer’s toolbox all day long. Many creative writers who go on to achieve the terminal degree in their field (the MFA) go into advertising if they don’t want to pursue careers in academia. Who knows? You might read your own copy on a billboard or fast-food soft drink cup one day! Want to put your words into hands all over the world — literally? Creating a runaway hit video game like Pokemon Go or Fallout requires writers. Murray Suid, cofounder of Mobile Moviemaking, studied screenwriting at UCLA. A few years after graduation, he met a woman who was producing a digital business game for a major company. Suid’s experience of working with “sophisticated gamesters” and professional animators stimulated his imagination and augmented his skill set. None of it would have been possible if he didn’t have the storyteller’s gift. Our increasingly connected world makes it possible to move your teaching gig online, whether you want to tutor high school students or profess at the collegiate level. And you don’t even need to be faculty at a university to take advantage of those opportunities. Online education companies like Smartly and No Red Ink need writers to create and edit their curriculum content. Many Ph.Ds who have been (or would be) in the world of academia find flexible, online work of this type offers them more freedom to pursue their interests — and helps them connect with and help students without the bureaucratic red tape that can plague brick-and-mortar universities. Sarah Lyn Rogers, poet and the fiction editor of The Rumpus, was an editorial assistant and curriculum editor at one such institution. She oversaw the production of several humanities courses and says she was paid “a nice amount” — although it was contract work, and thus didn’t come with a benefits package. If you’ve got the travel bug, you could also take your skills overseas and teach English in a foreign country. Lindsay Holter, an English major who graduated from Flagler College, taught English in South Korea before coming back to the states to take a job as an English teacher. She says the experience was “absolutely incredible,” and that she felt “very welcomed” in her new home. If you’re not sure what you want to do with the rest of your life, teaching abroad is a great stopgap — you’ll earn a decent living and see a new part of the world in much more depth than a few-week-long backpacking trip can offer. Bottom line: Communicating well makes you an asset in almost any type of business. It’s not just because human beings are drawn to great storytellers — although that certainly helps, and not many other disciplines devote time or resources to cultivating that particular, hard-to-put-a-finger-on skill. Jessica Mehta, author of “100 Ways to Make $100K with Your English Degree,” knows how broadly applicable an English major’s skills can be in the world of business. She’s been a blogger, SEO writer, product description writer, case study writer and more. “Businesses are figuring out that if they have an online presence (as they should!) they need creative writers to professionally handle a customer’s first impression,” she told me in an email. 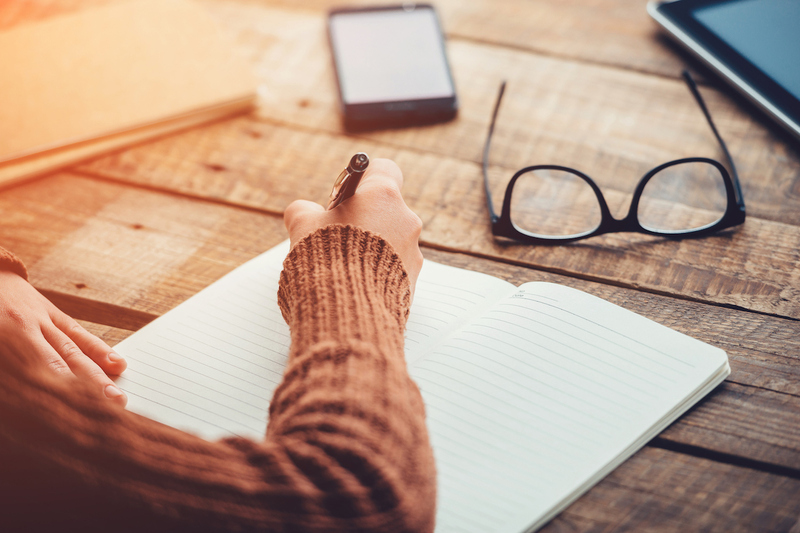 Quality writing is incredibly valuable to hiring managers, and it’s rare: Writing is the hard skill managers most frequently found lacking in their applicants, according to a recent analysis by PayScale. So your English major might actually be an asset in your job search! But how can you bolster your chances of getting hired? Mehta recommends leveraging the additional skills that help you translate your writing chops into applicable and reliable copy or services for your employer. You should be “professional, dependable,” and “have a fantastic portfolio,” she writes — and if possible, “offer add-ons’ like being SEO savvy, knowing WordPress, or hav[ing] experience writing in high-demand fields” like technology and finance. So as in most any other discipline, your imagination — and your self-marketing abilities — are the only limits to your potential. The eight careers listed above are only the beginning. Put that creative brain to use and get hustling, English major! Your Turn: Why are you majoring — or did you major — in English? What did you end up doing for work? Let us know in the comments! Jamie Cattanach was an English major and is now a staff writer at The Penny Hoarder. She totally makes enough money to eat and pay rent. Find @JamieCattanach on Twitter to wave hello.